In the next ten days, western corn rootworm larvae will be starting to hatch in continuous corn fields across Kansas. 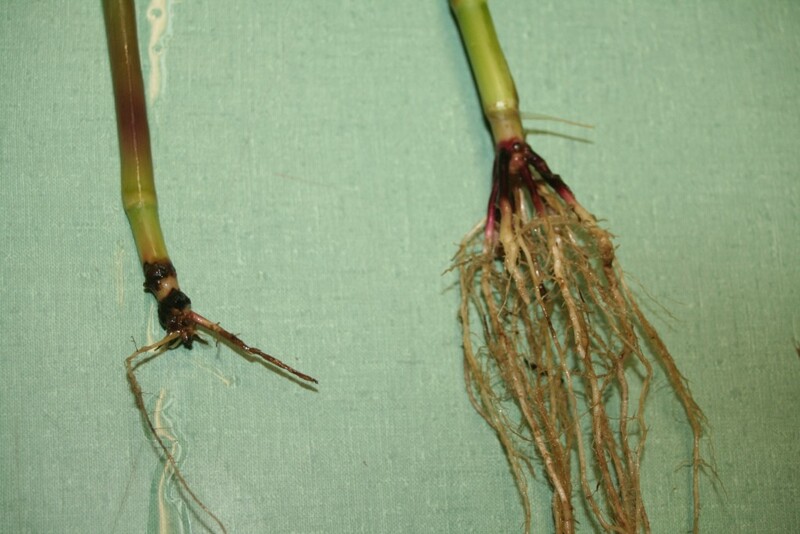 With Bt resistance popping up in the Midwest the last few years, it will be important to monitor rootworm targeted Bt corn hybrids this season for the presence of larvae, root damage and adults. Due to unusually wet conditions in western Kansas, corn planting has been delayed in many areas. 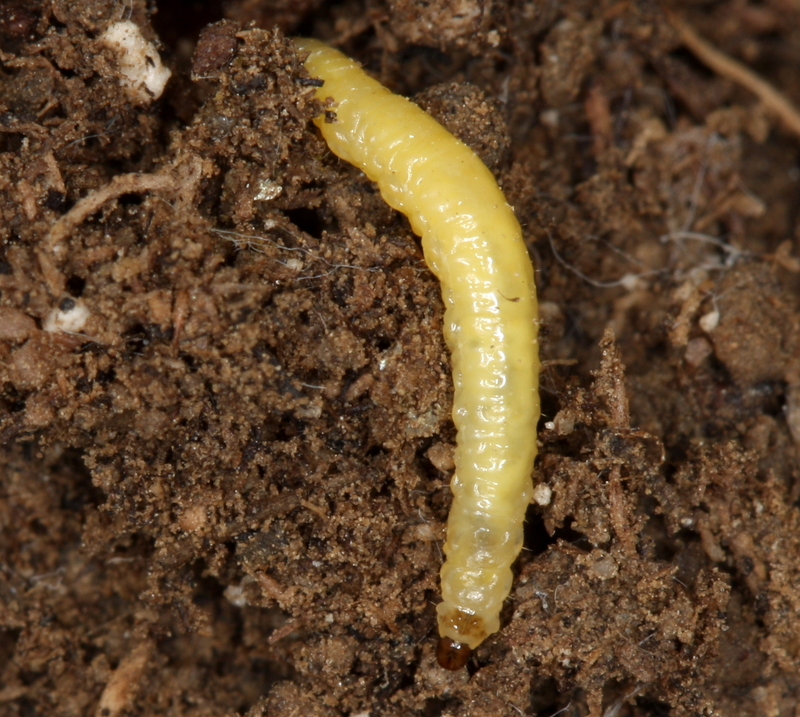 Fields that are planted later may be lucky enough to miss out on rootworm feeding this year. But if corn seedlings are just starting to grow, rootworm feeding could quickly take out new stands if the timing of larval egg hatch is right and populations are high enough. A soil applied insecticide may be warranted if the field is not planted to a rootworm targeted Bt and the field had noticeable adult rootworm beetle activity that went untreated the previous year. Young corn root damaged by western corn rootworm larvae (left), and a healthy, undamaged corn root (right).